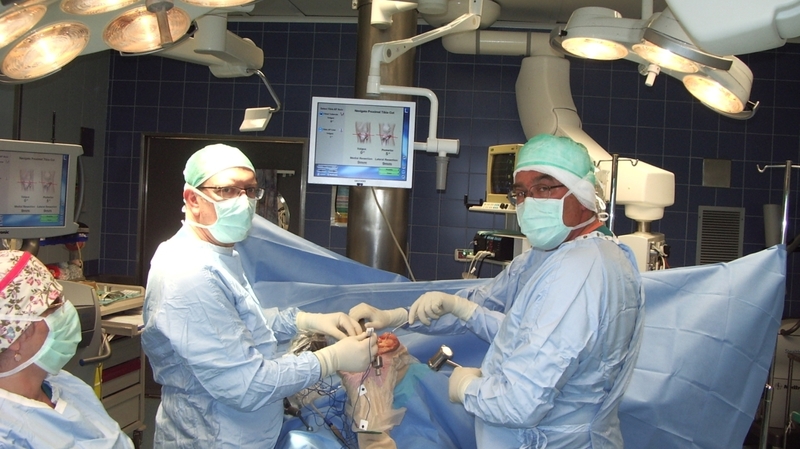 Our surgical staff has achieved international acclaim for lifesaving discoveries in medicine. Whether it’s busting blood clots in stroke patients or innovations in cardiac surgery, again and again they set the standard for new treatments. The New Surgical Center in the new Sarah Wetsman Davidson Hospital Tower , 4 floors below ground, comprises the most well-equipped and innovative operating theatres in the region. One operating room is reserved for emergencies; the others for neurosurgery, general, cardiothoracic, orthopedic, otolaryngology, vascular, pediatric, plastic and maxillofacial, and urological surgery. These operating rooms are ready to open as soon as the Surgical ICU Units needed to serve them are ready. 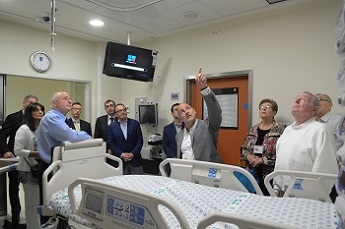 Hadassah needs several new dedicated Surgical Intensive Care Units (SICUs) in the Tower to take care of the patients who have undergone major surgery and who need intensive, life-saving care after surgery. One of these is an isolation unit where patients with compromised immune systems can be protected against disease. Please see an article in Hadassah Magazine about the New Operating Suite in the Sarah Davidson Wetsman Hospital Tower. After life saving surgery, patients need to be monitored and cared for 24 hours a day/ seven days a week in the Surgical Intensive Care Units until such time as they can be moved to a regular ward in the Sarah Wetsman Davidson Hospital Tower. Your gift to equip and furnish the Surgical ICUs will ensure that patients can receive the best of care during the critical period after major surgery. 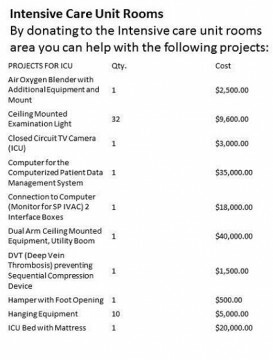 Please see a sample list of the equipment we need below. 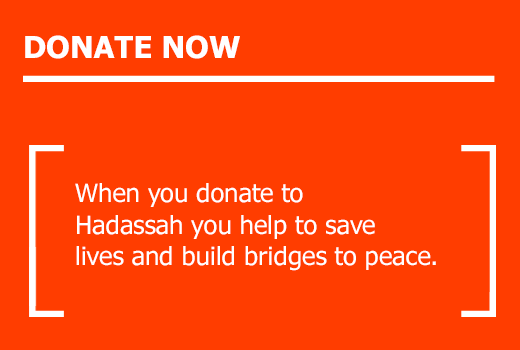 When you donate to Hadassah, you help to save lives! “My name is Avi Rivkind. Actually Professor Avraham Rivkind, but no one calls me anything but Avi. As Chief of Trauma at Hadassah Hospital I’ve seen thousands of terror victims. My team, formed with the world’s best physicians, nurses and technicians is ready. We save lives.